EnviroLink Forum • View topic - PETITION APPEAL PLEASE HELP!! Post subject: PETITION APPEAL PLEASE HELP!! 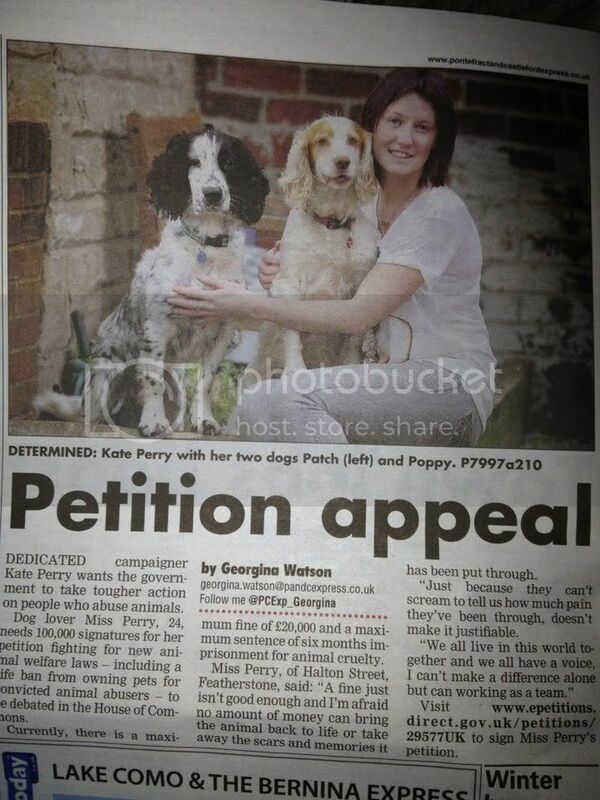 Post subject: Re: PETITION APPEAL PLEASE HELP!! I am opposed to this much the way I am opposed to the death sentence. I have seen too many cases of people wrongfully accused of animal abuse and to have further powers over their life by the parties involved with the wrongful conviction amounts to totalitarian terrorism. Yes, animal abusers need to be stopped but they need to also be respected as human beings who may need the love of a pet.